Very early on, we discovered the trick. We could either stand and let the soles of our shoes melt to the pavement while we wait in line, or worse yet be turned away, OR we could sit in some of the best air conditioning on Disney property while enjoying a meal and a nice cool beverage while the characters come to us. Wait a minute. You mean I get to sit down, eat a delicious meal, enjoy a nice beverage, soak in all the air conditioning I want and be waited on….AND the characters come to me?? Wow!! Where do I sign up?! There are more than a dozen different Character Dining experiences for Breakfast, Lunch and Dinner all across Walt Disney World. There is something for everyone. Meals with the Fab 5 (that’s Mickey, Minnie, Donald, Goofy and Pluto in case you didn’t know), Chip & Dale, the Disney Princesses, Winnie the Pooh and Friends, and many many more. You can choose from locations that offer buffet dining or ones that offer Family-Style service. 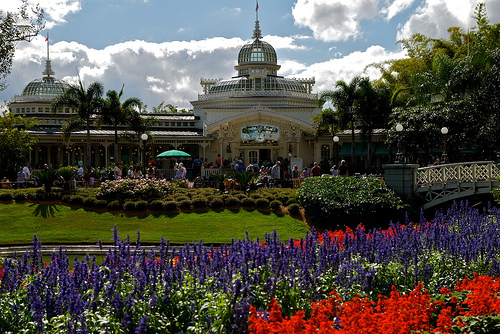 The Crystal Palace in the Magic Kingdom (pictured above), where you will meet Winnie the Pooh and friends. You can’t beat the location (the place is beautiful), and the food is delicious. Chef Mickey’s at the Contemporary Resort. Meet the Fab 5 here as you sit and enjoy a nice buffet. That mouse sure can cook! Donald’s Safari Breakfast at Tusker House at Disney’s Animal Kingdom. Get your picture taken with the main duck before heading into the African themed buffet. Here you will also meet Mickey, Goofy, and Daisy. They are all decked out in their Safari garb. Be sure to add this one to your list. Not only is their Jungle Juice delicious (it’s a mixture of Orange Juice, Guava Juice, and Passion Fruit Juice), but it is the only character meal where you get to meet Daisy. And, what would a character meal be without meeting the Princesses? Cinderella’s Royal Table inside Cinderella Castle at the Magic Kingdom. Open for Breakfast, Lunch and Dinner. Although the characters could change from day to day, this is one of your best chances to meet your favorite Princess. Plus, dining inside a real castle! How can you beat that?! Akershus Royal Banquet Hall at the Norway Pavilion in Epcot. Although not in a castle, this is another of your best bets (and less expensive too) to rub elbows with royalty. Lunch and Dinner is served family-style. I can’t believe Snow White just kissed me!! Beware, however. 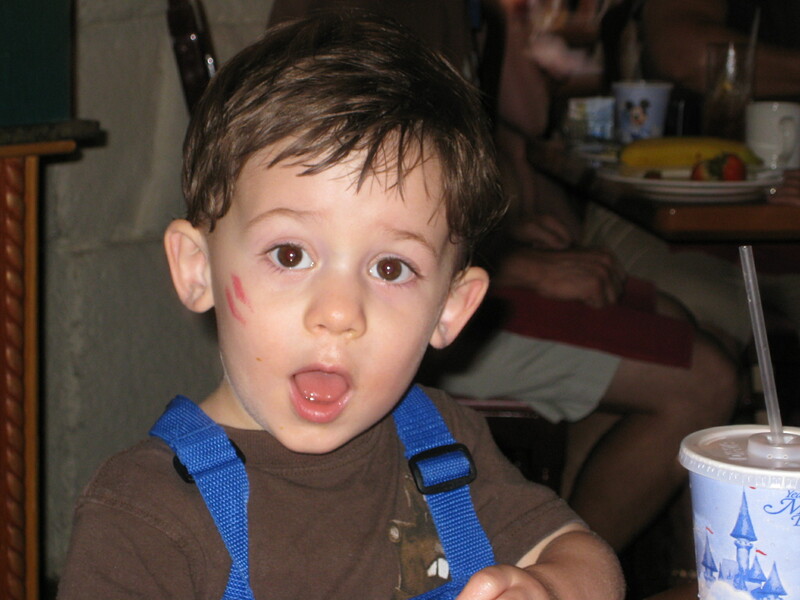 The Princesses have been known to hand out kisses! They will catch you when you least expect it! Grand Opening of New Fantasyland coming in December! !